Even the meekest and most pretentious hipster on earth should clearly admit Beyonce Knowles has a voice that can call upon the angels of the midnight hour tstare the world down until all of their children are safe. We also know, based upon the words of the one of the finest artists of the modern world, that she made “THE GREATEST VIDEO OF ALL TIME!!!”. But, what happens when the king of modern R&B is unintentionally outdone? Is it possibly that a goddess from the independent music world could legitimize a pop princess? The answer is yes. Yes, because the great Anna-Lynne Williams decided she would strive for such a feat. Lotte Kestner’s (Anna-Lynne William’s solo project) latest album, a collection of somewhat obscure covers, is obviously beautiful. Her interpretations of Trash Can Sinatras and Interpol are obviously commendable as she spews her beautiful vocal chords upon the world. But, somewhere on the bonus disc of the aptly titled Stolen, we find the wife of the hip hop legend Sean Carter. We find Williams creating something so sensual and captivating, it is extremely hard to believe these words did not come straight from her heart, but from any given songwriter who will probably always remain nameless. Beyonce can sing. This is obvious. But, anyone who hears Lotte Kestner spill out her heart to the same words the lady of R&B once did, should instantly realize that an improvement was made. Should Mrs. Carter ever come across this track, I can feel that even she would agree that she was trumped. Hopefully she can understand. And if she doesn’t, we can still be entirely thankful that we have beautiful voices all over the world. From Knowles to Williams, we can be happy for these tones of beauty that plague even our darkest moments. Within these folk’s talents, we can find peace. We can find love. 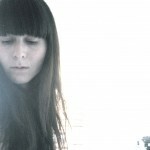 Lotte Kestner’s latest album “Stolen”, and the 5 song bonus EP, featuring “Halo”, can be found at SaintLoupRecords.com. The critically acclaimed debut of Lotte Kestner, “China Mountain”, can also be purchased from the site as well.